On May 5, 2000, the 1st edition of Rocks of Ages was released. A unique work slightly ahead of its time, Rocks of Ages: Ancient Technologies for the New Millennium was an African-centered, multi-disciplinary look at crystals and sacred stones. Exploring the traditions of the Nile Valley, west African spiritual expressions, and other indigenous uses of the mineral kingdom, Rocks of Ages provided modern visions for empowering oneself with crystal technology. Those familiar with the 1st Rocks of Ages are aware that the title is a play on words evoking the spiritual stability of the song Rock of Ages while surveying the use of crystals and sacred stones throughout the ages. Anu edition builds on this, but carries it a little further by exploring the nature and structure of time itself the Ages. According to ancestral traditions and cultural cosmology, what time is it? How can we align ourselves with the flow of space-time now? Rocks of Ages: Anu Edition addresses these important questions. It is Anu Edition for Anu Age... Rocks of Ages: Anu Edition chronicles the legacy of the Anu. These primordial humans, the first ancestors of African humanity, were anything but primitive. On the contrary, these were the original pyramid builders, scribes, sages, agriculturalist, and engineers of antiquity. The Anu left an enormous legacy, much of it prophesying and pointing to significant events unfolding in these times we are experiencing now. Anu Edition explores the history, mystery, and prophecy of Africa s primordial ancestors and reveals the powerful truths culminating in Anu age dawning. Like the original Rocks of Ages, this Anu edition is designed to be a key to survival. 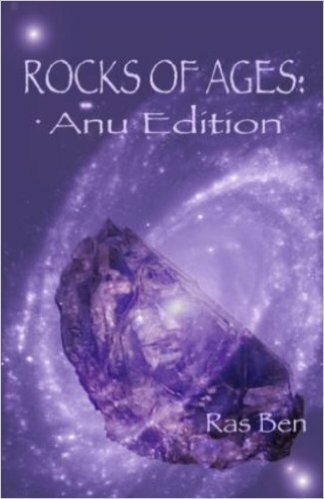 However, unlike the 1st edition, which was slightly ahead of its time, Rocks of Ages: Anu Edition is right on time!